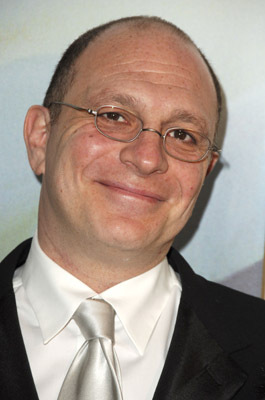 Akiva Goldsman Signed On with HBO! Oscar-winning producer Akiva Goldsman has signed a two-year contract with HBO and is already working on his first project with them. It’s not his first foray into TV; he was the co-writer and producer of Fox’s Fringe. Goldsman will be executive producing a series on Doc Holliday, the famous gunslinger. Generally, Holliday is portrayed as a sidekick to Wyatt Earp. However, unlike most takes on the old cowboy, Goldsman’s show will focus on the love triangle between Holliday, his prostitute wife Kate Elder, and his best friend Earp. Holliday will have his first go-round as center character. Adam Cooper and Bill Collage (both of Accepted) are penning the script, and Ron Howard (Angels and Demons) is set to direct the pilot. Goldsman has adored HBO for years, especially since his current obsession is Game of Thrones. “What I love about HBO is that storytelling seems to be king and that genre seems to be almost irrelevant,” he said. Seems that the production company will be a good match for him. This entry was posted on Friday, December 2nd, 2011 at 2:57 pm	and is filed under Television. You can follow any responses to this entry through the RSS 2.0 feed. You can skip to the end and leave a response. Pinging is currently not allowed.